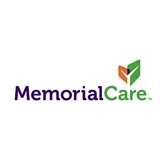 MemorialCare Medical Group Long Beach - Los Altos (Long Beach) - Book Appointment Online! He is a very good doctor. Explains very well. Listen to the patients; meet patient with smile above, all his time is very punctual. Very informative and helpful, quick to be seen. Very good. Dr. Thompson is an excellent doctor. He is very attentive and professional. She and her team are wonderful!